Estee Lauder Verite LightLotion Cleanser– Luxury Product Or Bust? Many name brands have earned their merit with effective product and hard work only to give in to shareholders and begin cutting costs to improve sales. Products become expensive simply for the name recognition and may be no more or less effective than their non-name brand compatriots. Estee Lauder is one of the primary names in the skincare industry, but do their products match their price tags? We look at one product to find whether it truly works and get some answers to this question. Estee Lauder Verite LightLotion Cleanser is one of Estee Lauder’s bestselling products. It is designed to hydrate the skin while cleansing it of oil, dirt and other soiling agents. Estee Lauder even advertises it as a makeup removing product. It is suggested to be used each day in the morning and before bed. This thoroughly cleanses the skin and prevents buildups. What makes this product work when compared alongside others is that it achieves a maximum balance of cleansing and moistening. 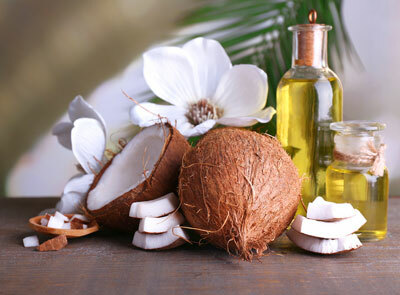 Other cleansers are harsh and strip the skin’s natural oils alongside the harmful oils. These cleansers offer nothing in return for the lost oils and result in dry skin. Estee Lauder successfully bridges this gap to restore water to parched skin. This product also contains age-defying antioxidants sourced from all-organic ingredients. What’s Inside Estee Lauder Verite LightLotion Cleanser? The main ingredients that make Estee Lauder Verite LightLotion Cleanser effective are a mix of cleansing oils including olive, chamomile, green tea leaf, and coconut oil. These ingredients make skin soft and beautiful without exposing dangerous chemicals. Estee Lauder Verite LightLotion Cleanser can simply be applied liberally to the skin and then wiped away with a soft cloth. No water necessary. Estee Lauder Verite LightLotion Cleanser will root out the dirt and grime in the skin and pull it away without leaving unpleasant residues. Its creamy consistency is refreshing and will improve your daily routine. What are the Weaknesses of Estee Lauder Verite LightLotion Cleanser? This product was not designed with acne in mind. It has been shown to make symptoms of serious acne worse with use rather than better. Estee Lauder also cautions against people with acne using this product. Estee Lauder Verite LightLotion Cleanser was tested on animals, along with Estee Lauder’s other products. Estee Lauder is a known animal testing company, which is a huge disappointment. Hopefully they will move beyond these cruel practices soon. Is Estee Lauder Verite LightLotion Cleanser Worth The Cost? While this product may seem expensive, its results certainly warrant the price. It is a skilled balance of daily cleansing and daily moisture that is essential in any regimen of skincare products. It contains natural, organic ingredients not often found in other skincare products without trying to ride the “natural skincare” hype that often produces overblown results. This is a simple and efficient product that you should try today.